Layering is the best way to make sure you are always prepared for conditions and have the flexibility to perform your job functions. There are three basic layer types, but within each of those are multiple options best suited to the job duties and climate you will be in, whether outdoors or in climate-controlled indoor environments. With the wide ranging fabrics and differing garment types available in each layer category, it is possible to create a wide range of combinations to best suit your needs. 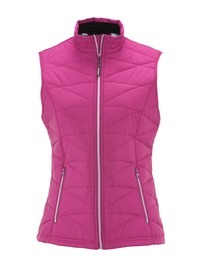 Sometimes you will need the heaviest of all three layers, other times a light base layer and mid-layer vest will do. These are the factors to consider when choosing layers. This layer is the first you put on and often rests against your skin. Fabric is the most important consideration here. If you’ll be moving frequently and sweating, or in a damp or wet environment, cotton should be avoided as it retains moisture. Instead, choose fabrics designed to wick moisture away from the skin to evaporate. Activity level is also important for determining how warm you need your base layer to be. Stationary activity – like driving a forklift – means you want a base layer set of top and bottom, with a lining for extra comfort and warmth. 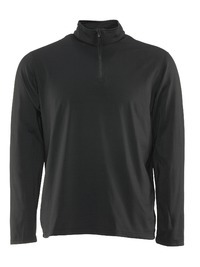 Working outdoors in mild temperatures likely only needs a long-sleeve, moisture-wicking shirt. 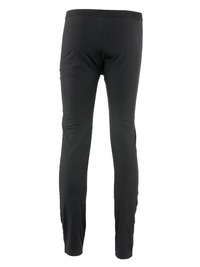 And don’t forget - base layers aren’t just for your upper body; your lower half needs protection too. 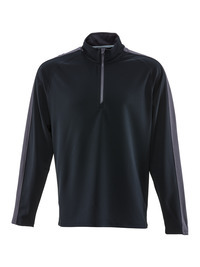 Short- and long-sleeve shirts based on active wear with moisture wicking properties, long underwear, flexible and light shirts, and lined tops/pants all work well as base layers. The mid-layer is an extra insulation layer. It is meant to trap heat against the body, providing warmth and protection from low temperatures. Keeping your core warm is essential to overall body warmth – the warmer your core is, the more your body can pump blood to your extremities to avoid frostbite or, at the very least, a reduction in the tactile use of your hands. 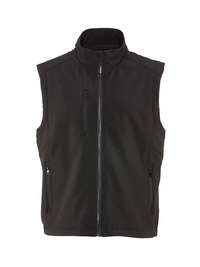 Vests are versatile layer options for a range of temperatures and job duties to keep your core warm while retaining a full range of motion for your arms. 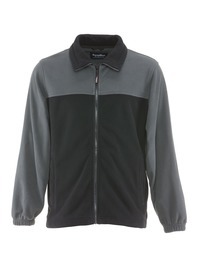 Fleece is often used in warmer environments or with more active duties; insulated vests or mid-layer jackets are better suited for colder environments or more sedentary duties. Flexible, light jackets with insulation, vests and fleece jackets are great mid-layers that can also function as your top layer in milder temps. 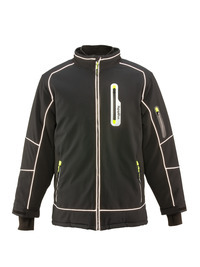 The outer layer provides protection from the elements – wind, water and extreme low temperatures. 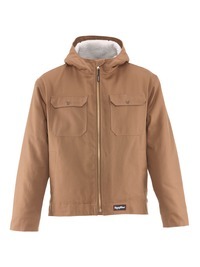 You might search for winter coats or insulated jackets to find the most common outer layer garments. In milder temperatures with windy or wet conditions, however, insulation isn’t necessary while other protection is. In windy outdoor conditions, or job duties like operating equipment that creates a wind stream, your outer layer needs to be wind-tight to prevent the additional chill from reaching you. 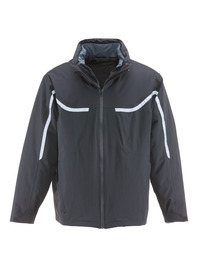 In rainy conditions, or job duties that mean frequent contact with condensation, your outer layer needs to be waterproof. Remember - moisture is the enemy of warmth and comfort. 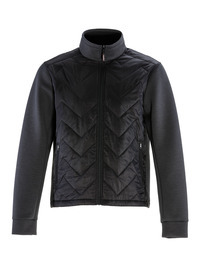 In extreme low temperatures, the outer layer should be an insulated jacket for extra warmth. It is important not to pick an outer layer that is too warm, as overdressing can severely impact productivity. Winter coats, rain gear, windbreakers, 3-in-1 jackets that provide the options of insulation, waterproof shell or both, and more all make great outer layers for differing conditions and temperatures. Don’t forget about gloves, hats, socks and footwear to protect those areas that your jackets and pants don’t cover. The role of these accessories can be critical in very cold conditions because they will protect your extremities from frostbite and loss of function. Check out our Knowledge Center Article “The Important of Role of Hand Protection in Performance” for tips on picking the right gloves for your duties and environment. You won’t always need all three layers, and sometimes you’ll need more than 3. Often, the waterproof outer layer can be stored until needed, or a mid-layer removed as the temperature rises throughout the day. The more you experiment, the better you’ll be at choosing the right layers for differing duties and activities. What is important is to consider not just the temperature, but your activity, the environment and how the material of each of your layers works in those conditions.